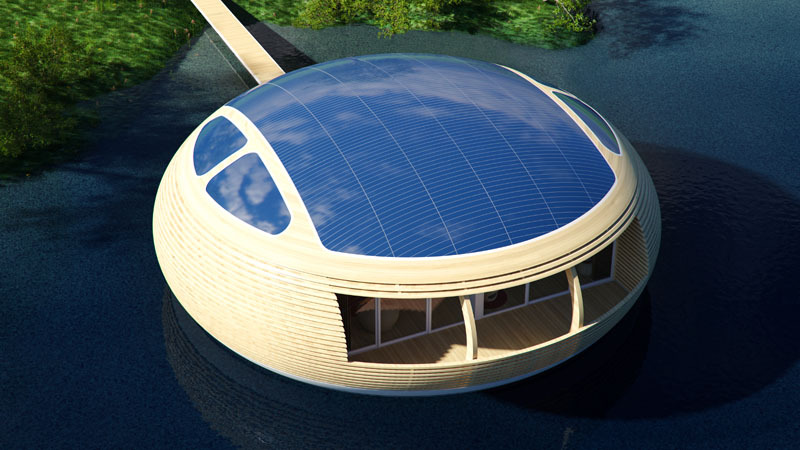 As Sea Levels Continue to Rise, Italian Architect Introduces Solar-Powered, Floating Home! 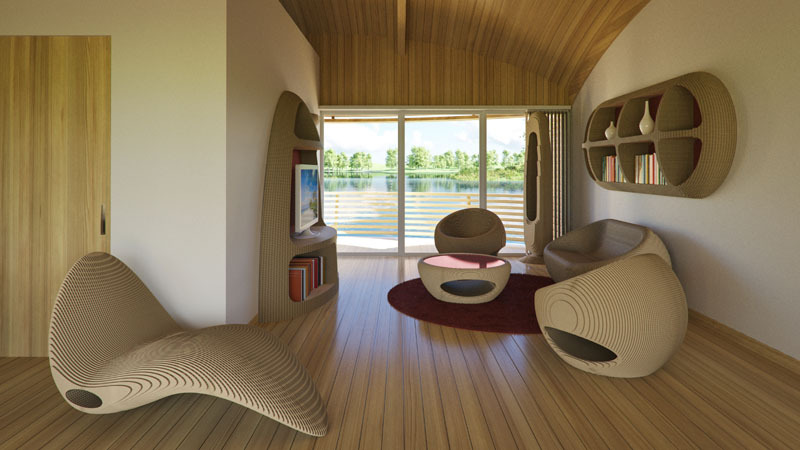 As many of you are well aware, our sea levels are continuing to rise, resulting in some architects thinking outside the box and creating unique designs, including renowned Italian architect Giancarlo Zema. 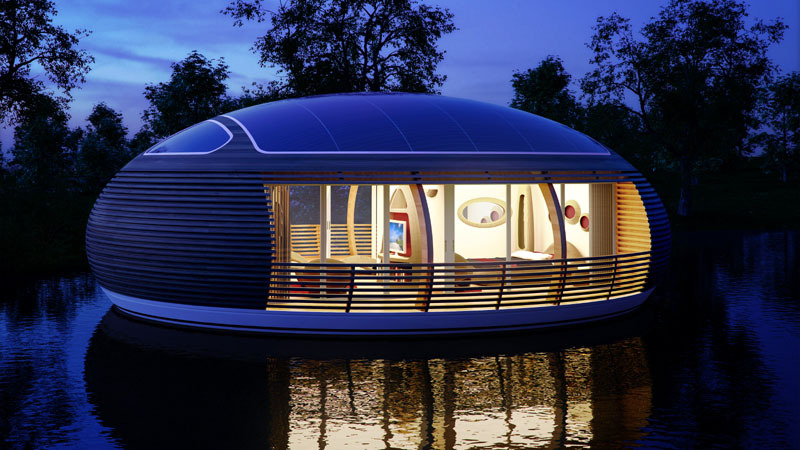 Zema’a latest concept, which was developed with the help of the firm EcoFloLife, is called “Waternest 100” and has been years in the making. 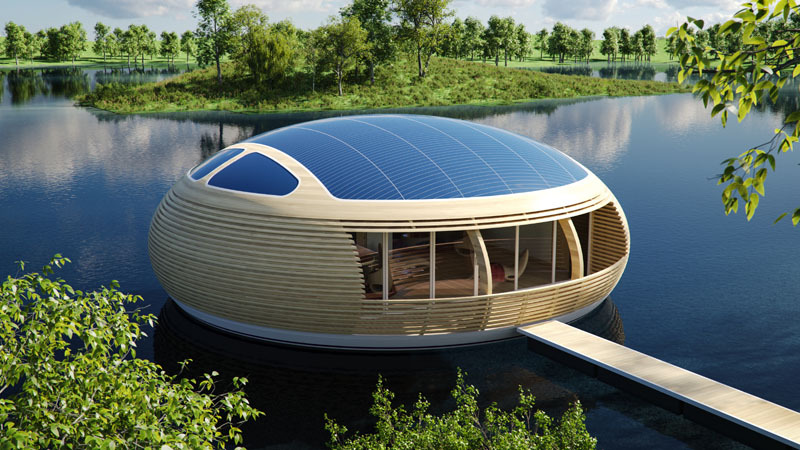 Waternest 100 is a 1,000 square foot solar-powered, floating home made from recycled timber and a recycled aluminum hull. 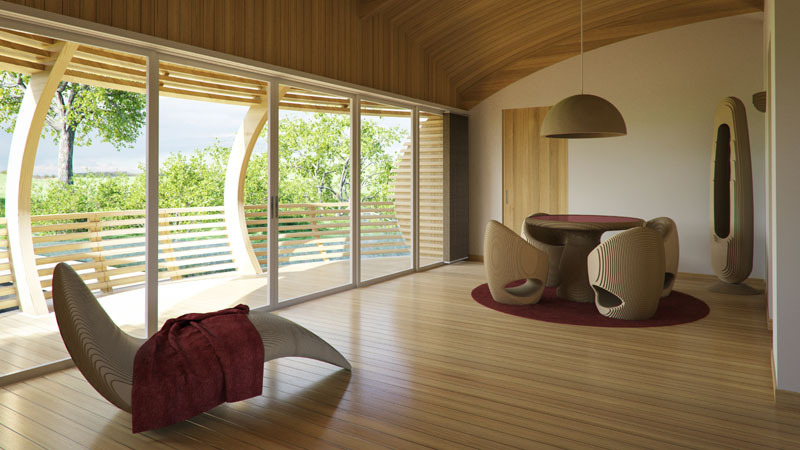 It was designed with the notion in mind that it would be constructed on our changing coastlines, so it features skylights, balconies, and massive windows in order to let in natural light and provide breathtaking views of the house’s surroundings. 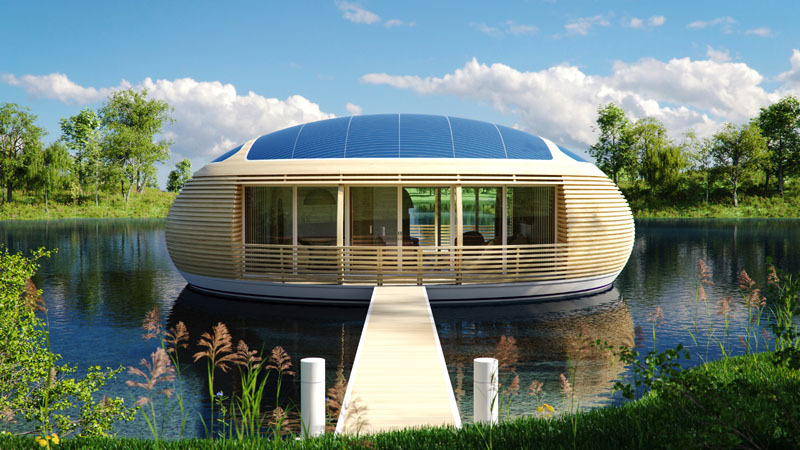 The floating home can reportedly thrive in any calm body of water, and it comes equipped with a full solar panel roof for optimum energy efficiency. 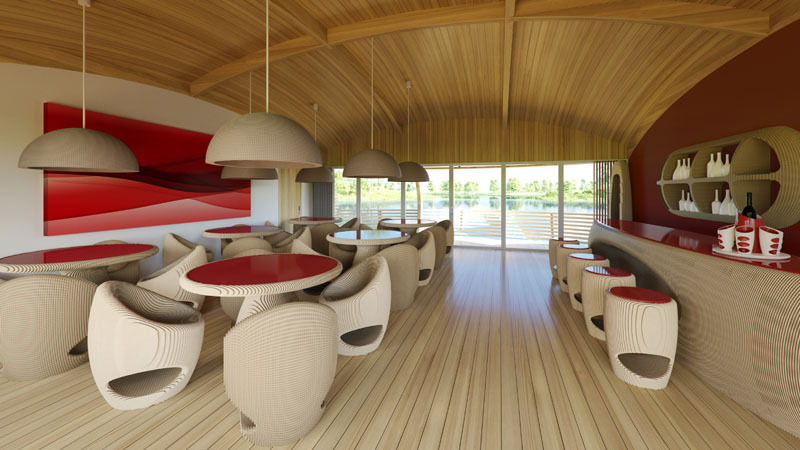 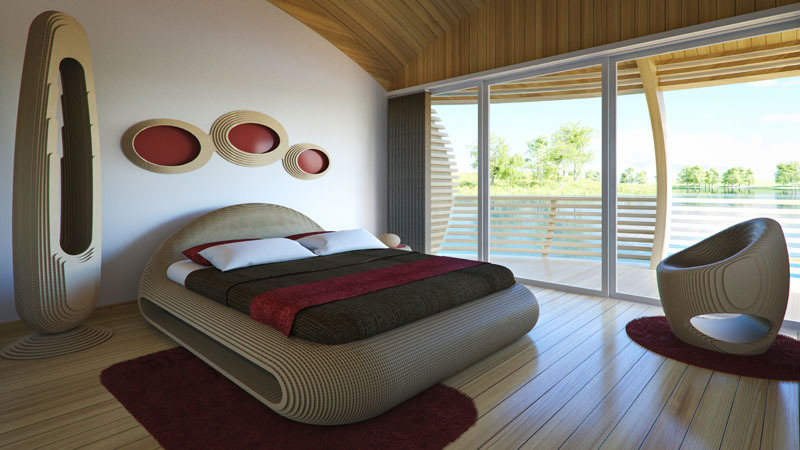 Hopefully, if all goes well, society will not be regulated to floating home living anytime soon, but it is nice to see we have an architect like Giancarlo Zema with our future well-being in mind.